Telecom companies have been ordered to switch off voice communication for all unregistered and unverified sim-cards at midnight on Friday despite attempts by Parliament and activists to have the deadline extended. Courtesy Photo. Telecom companies have been ordered to switch off voice communication for all unregistered and unverified Sim cards at midnight on Friday despite attempts by Parliament and activists to have the deadline extended. While the Sim card will not be used to receive or make voice calls, however, their mobile money network will remain operational. Information and Communication Technology Minister, Frank Tumwebaze says the resolution to only switch off voice communication was reached after an appeal was made by the public on possible loss of money by switching off mobile money services too. “We will allow a transition period for mobile money users so as to avoid the loss of money by individuals but it will only be for the money to be removed and no deposits will be allowed,” Tumwebaze said while addressing the media at the Uganda Media Centre today. Official statistics from the Uganda Communications Commission (UCC) indicate that 92% of Sim-card users have already submitted their verification details though only 70% have been verified so far. Government has also threatened to take action against Telecom companies who may fail to heed the order and leave some unverified Sim cards operational. “We have received information that some of the Telecom companies are manipulating the data and not revealing the exact number of Sim card holders. They should be warned that any company that tries to act outside the deadline will be acted upon as per the law,” Tumwebaze said. 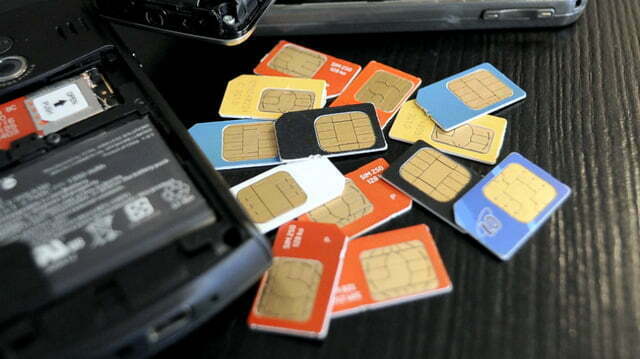 Parliament had last evening passed a resolution pushing for an extension of the deadline for verification of sim-cards until 2018 on grounds that people would lose their money if the cards are switched off. 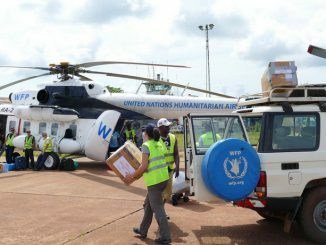 Government had earlier extended a one-week deadline issued by UCC in April until today May 19, 2017. As a national security measure, government embarked on an exercise of ensuring that every SIM card of an individual gets validated and verified for purposes of ensuring secure and safer communications. For that matter, instructions were given to all telecom companies through the regulator, UCC to enforce the exercise. The same way banks embarked on their KYC (Know Your Customer) principle, same should apply to the telecom sector for SIM card holders. The enactment of the Registration of Persons Act 2015 makes the national ID a mandatory document to use for any form of registration services, SIM card registration inclusive. This is explained in sections 65 (1) (a) to (l) and 66 (1) and (2) that elaborate on the use of information in the register and Mandatory use of National ID cards respectively. Therefore the requirement to validate and verify SIM CARDS using the National Identity Card is grounded in law. The Chief legal advisor of government (Attorney General) correctly advised. The overall objective of this exercise is purely to provide national security safeguards. While mobile phone telecommunications is one of the most commonly used method of communication among citizens and has greatly revolutionized the way businesses are run, negative elements have also taken advantage of the same means of communication to plan, coordinate, finance and execute their criminal activities with ease and sophistication. 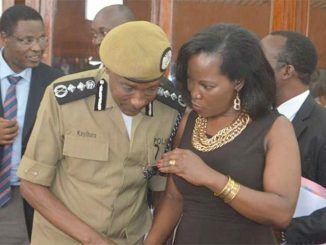 The practice for the criminals has been to acquire new Sim Cards that either are unregistered in any names or fraudulently registered with wrong and falsified identities for use in the execution of their criminal operations and thereafter discard them so that they are not traced. The sustainable solution to this criminality is to ensure that all SIM cards and their users are properly registered using the correct identities. Thus the need for Verification and validation even for Sim-cards in use. While the government had set the first deadline a month ago, it was found prudent to give an extension of one month so as to enable many Ugandans that had registered for the national IDs but had not collected them. I am glad to report that good progress has been registered with many Ugandans responding positively. From UCC records submissions from telecoms stand at 92% of all active SIM cards in the country. I would therefore like to take this opportunity to thank all Ugandans that took heed of this clarion call and verified their SIM cards. The deadline of 19th May set by government will be enforced at Midnight. This is therefore to confirm that the deadline stands and all unregistered, unverified and un-validated SIM cards will be switched off initially for voice communications. In other words the holders of those cards will not be able to receive or make calls. As a measure however, to mitigate loss of money for those with Mobile Money deposits, the service will not be switched off for the unregistered, unverified and un-validated SIM cards. A transition period will be allowed for those Mobile Money customers to either withdraw their balances or transfer them to registered SIM cards or to their banks. While withdrawal or transfer of Mobile Money balances on unregistered/unverified numbers will be enabled, loading/depositing of more money will be disabled on the unverified cards. Government would therefore like to assure the citizens and Honorable Members of Parliament that no funds deposited on Mobile Money will be lost in this exercise. The regulator, UCC has been instructed by government to inform all the telecom operators accordingly. Another measure taken by government to ease the registration, verification and validation process for citizens as demanded by Parliament and citizens, is for NIRA to allow new ID applicants whose IDs are still pending processing to use their application form numbers. Once they get their IDs, with the National Identification Number (NINs) then they can re-submit online using the USSD code *197#. After the deadline is there any other opportunity to verify/validate SIM cards? While the switch off will disable voice communication on the affected SIM cards, the exercise of verification continues just as registration of citizens is continuous. Any citizen with the requisite registration/verification documents will then approach their service provider to either register for any new SIM card or verify their old but switched off cards. Citizens can contact NIRA at their district offices. In addition UCC has allocated NIRA a short code *216# to enable citizens to know the status of their application process. Let us all be vigilant since national security is for the good of all of us. Minister of ICT and National Guidance.